These light sensing detector modules can be set to trigger our radio equipped motors to activate as a function of light conditions. 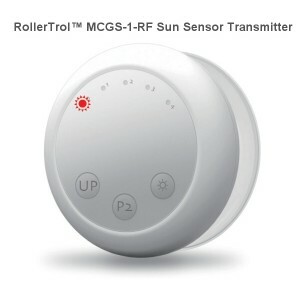 The light sensor detects strong sunlight conditions, thus activating the blind motor to turn on and deploy blind. It could also be used as a daytime / night time sensing system.